Most people have never heard of Mother Pascalina Lehnert. As a young nun, she worked with Cardinal Eugenio Pacelli, the papal nuncio in Bavaria, and then spent many years in Rome as his trusted advisor and assistant when he was elected as Pope Pius XII. A new book tells Mother Pascalina’s story through her friendship with a young American priest. 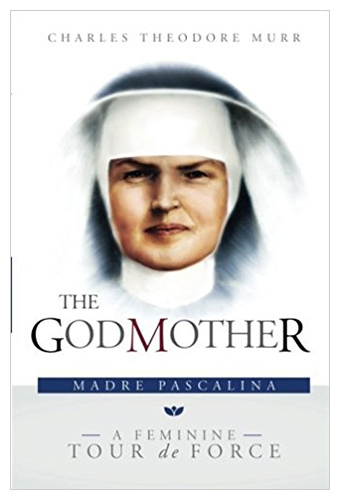 Titled The Godmother: Madre Pascalina, A Feminine Tour de Force, it is the third book of Fr. Charles Theodore Murr. A native of St. Paul, Minnesota, Fr. 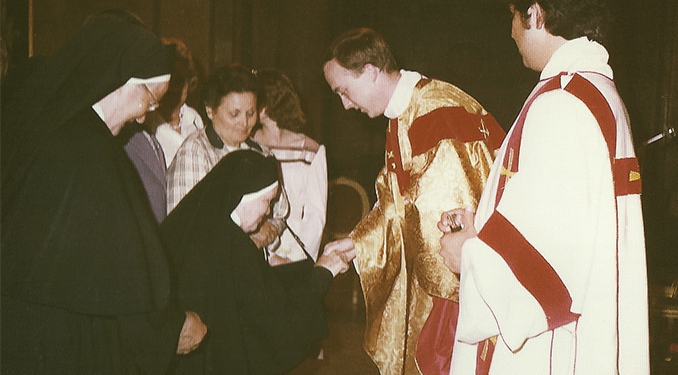 Murr studied in Rome during the 1970s, during which time he befriended Mother Pascalina. His fascination with her came from a deep affection for and devotion to Pope Pius XII, whose right-hand-woman Mother Pascalina was for decades. The book is a memoir, recounting years of weekly meetings between Fr. Murr and Mother Pascalina, during which they would discuss matters theological and ecclesial, and Mother would regale Fr. Murr with stories from her time working in the Vatican’s upper echelons as a strong-willed German woman among hordes of men. The book is nearly impossible to put down, filled with engaging anecdotes and remarkable insights. Fr. Murr recently spoke with Catholic World Report about his new book, his admiration of Pius XII, and his close friendship with Mother Pascalina. CWR: How did this book came about? What prompted you to write it? Fr. Charles Murr: Well, I’m getting older. This next year I’ll be 68, and I thought that I should get some things down in writing before I go to God, and one of the things I wanted to do was write about some kind of incredible, fascinating people that I’ve met. One of them was Mother Pascalina. We were friends for eight years; it wasn’t just a “Hello, how are you” thing. I got to know her very well. Another one was Archbishop [Hilarion] Capucci, who just died. He was a Palestinian terrorist earlier in life! I lived with him for two years, and found him a delightful man. So I’m writing his story about a kidnapping in Beirut. There are some things that I think should be written down before we all pass away. 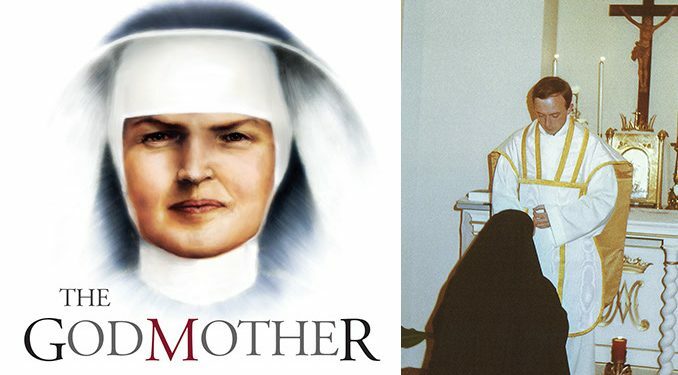 Mother Pascalina is a particular important person because of her role with Pius XII, her perception of the Second Vatican Council, what was happening, how it was coming about; the election of John XXIII; her relationship with Pope Montini [Paul VI]. She was a religious of the old kind, very old school, so you didn’t talk about certain things. She didn’t take about her past – it was very difficult to get her to talk about her family. She was uncomfortable with that, because you weren’t supposed to go there. It’s a mentality that nobody really understands or appreciates today. She was very careful at first about her opinions on certain matters, and about having her opinions on certain people. And over the years, we became very close and she became very candid with her opinions. And I just thought those opinions should be out there. CWR: One thing that stands out is the way you describe your first encounter with Rome. Is that really how you felt when you first “met” Rome? Or was this, and other portions of the book, exaggerated for dramatic effect? Fr. Murr: No, I really didn’t want to exaggerate anything. I tried to be as honest as I possibly could. Maybe there’s a little bit of nostalgia in it that makes those days even more sparkling than what they were – perhaps because of the years; everything’s better when you’re 18! I had a particular grace that was given to me by God in life. When I had good times, I knew they were good times, and I enjoyed them fully. A lot of people would say, “We never knew how good we had it,” or “Those were great times and we didn’t see it.” I never had that; I knew they were great times. I knew Rome was spectacular. I knew it. And I had studied a lot about it, so I knew what I was looking at. I ran from my hotel to the Basilica – I ran! I couldn’t wait to get to the Basilica! I read about it and heard about it when I was a kid, so it was just really overwhelming. And I remember standing right inside the Basilica, almost frozen, and just took it all in, and I was just overwhelmed. I could not believe it, I’d never seen anything so beautiful. I don’t understand how people can talk about the pyramids, for example, being beautiful, and the genius that people had to build these. Are you kidding me? My God, look at St. Peter’s Basilica, it’s mind-boggling! The 250 years that it took to build it! This is unbelievable. The people who laid the foundations never even saw the half of it. I was just overwhelmed. I think it’s just colossal. The Catholic treasury that we have, and we don’t get excited about it anymore. 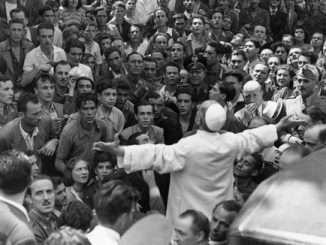 CWR: Why do you want people to know about Mother Pascalina and about Pope Pius XII? Fr. Murr: Because it’s scary to me to talk to university students (and I talk to a lot of them; I live right in the middle of the University of San Francisco); they’re not sure who fought the Second World War. I’m not exaggerating, I don’t have to exaggerate. The only thing they know is, they’re pretty sure a man by the name of Hitler was the worst human being ever to walk the earth, but they’re not sure when he lived and what he was associated with — that’s kind of vague. So this idea of history, a lot of young people today (more than ever before) think that history, world history, began with their birth. And it is so sad, a tragedy, that they don’t have any idea of spiritual roots, of historical roots in Europe, it’s just not there. I thought they should be interested in getting to know things. I look at the Church today, and it’s sad. We’ve lost 80% of our practicing Catholics. I remember the day, I can picture Mother Pascalina’s face when she told about Pope Pius XII and his vision of the sun dancing in the Vatican gardens, the vision of Fatima that was afforded him alone as a privilege. He came back and talked to her about it. Pius XII was of the same ilk as Mother Pascalina: you didn’t talk about these things to people. He talked about it openly to her and couldn’t contain his excitement, he just couldn’t believe it. If we’re not in that today, I don’t know who’s in it. People should know that. Is the end of the world coming? All I can tell you is that we’re closer today than we were yesterday. Also, the take on the Second Vatican Council was remarkable. She told me “This wasn’t John XXIII opening a window. This is nonsense. For 4 or 5 years, Pope Pius XII prepared the Second Vatican Council. And then he put it all away one day, and I asked him why he decided not to go ahead with these plans.” And he told her that the bishops of the world were not sufficiently mature to take it on. And it was all tabled. I think that’s exactly what happened; he was right. The bishops of the world were not mature enough to take it on. They really made a mess of it. Not that there weren’t things that needed changing and reforming, but this is out of control. Do you think Paul VI foresaw people dancing around during the consecration? And people doing cartwheels? This is crazy. Nobody envisioned this; this is not what was wanted. So in a lot of ways, that was exactly correct: they were not mature enough. What I’m trying to say is, there were a lot of things that happened at that time that people cautioned about, but no one was careful. And this is where we’re at today. It’s sad. A lot of the things of the Council were not correctly applied. Pius XII was very right to be worried. CWR: Another fascinating thing about the book are the little vignettes, the interesting stories Mother Pascalina would share with you. My favorite was the story of Padre Pio’s vision of Pius XII being received into heaven by Bl. Pius IX. Fr. Murr: Isn’t that great? Mother Pascalina described some men, including Pope St. Pius X, as “still having the dirt under their fingernails,” from the farm. In other words, they were real, hardworking, down-to-earth men. And Padre Pio was like that, too – gruff like that. The humanity of these people is sensational. I just wish people would know who this woman was, because to know her is to know about Pius XII, and about Church history. Also, her efforts during the war to hide Jews and to accommodate these thousands of Jews – she said that after the war, people remark on how many Jews they’d saved. She said “You have no idea, there wasn’t any food! You hide the Jews, that’s one thing, but now you’ve got to feed them 3-5 times a day. You’ve got kids, and diapers – you’re just run ragged.” There’s all this that we never think about. She dedicated herself to keeping all those thousands of people alive. I should have put this in: during the war, the women at convents all throughout Europe were attacked, raped, sometimes killed; and putting it all back together after the war was a tremendous undertaking. You can’t imagine the psychological torture. Mother Pascalina worked hard in trying to get it all back together and take care of these women. 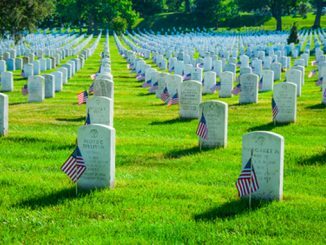 I asked her if she ever heard of American or English or Australian or Canadian soldiers doing something like that, and she said never, not once. Only the Axis of Evil. And she had all of the documents from everything. CWR: Is there anything else you want to add? Fr. 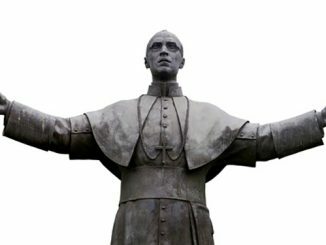 Murr: Just that I wish people would know their own Catholic history, and not be ashamed of Pius XII because he “didn’t do enough for the Jews” – this is ridiculous. It’s not ridiculous, it’s sick. He did more than anybody in the world ever did for the Jews, and Mother Pascalina was right there to help him. Pius XII is very mistreated by history, and that’s a shame. I would love to see the canonization of Pope Pius the Great, Pius XII, and Mother Pascalina wanted to see that. Archbishop: Is the Nigerian government looking for missing nuns? This helps me. Pope Pius XII is my favorite Pope, by far. It helps me to have courage in my love for him. I pray that Rabbi Schmuley Boteach will overcome his bitterness and gain proportion in his view of this man who was lionized by Gokda Meir and honored by Israel as a Righteous Gentile. This is a great book written by a highly educated and eloquent priest. It’s an engaging story and a look into Catholic history that not many people got to see or understand. I hope Fr. Murr continues to write. 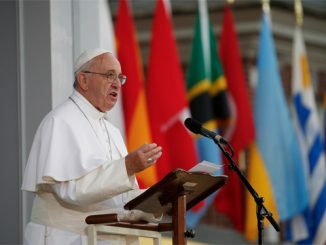 What a wonderful tribute to Pastor Angelicus, the Pope of our youth (as Pope Benedict recalled him in 2008, the 50th anniversary of his death). Deep in our hearts, we miss him so today, our Papa. This is a great book—well written with fascinating stories. I highly recommend it. It’s not just for history buffs but for anyone who wants to understand what went on behind the scenes during the pontificates of Pius XII and beyond. Very enjoyable and very informative. Well done, Father Murr. I thoroughly enjoyed reading this book. Hard to put down. From the Introduction to the very last page of the book. The last Chapter covering Venerable Fulton J. Sheen and the talk he gave at a Priests’ Retreat in 1974 was excellent. Very important in helping to understand the times in which we are now living, and the Church today. The Afterword sums it all up and gives a little history of Freemasonry and its affect on the Church yesterday, and today. Not to be missed. The reviews from readers have been mostly 5 stars. Well deserved. Hello. I am a longtime friend of Charlie Murr, we have known each other since 1965. He will be happy to hear from me. I will look forward to his response when you tell him I have “found him”.